YOUR TO EXPERIENCE YOUR PAST LIVES. This is an in-depth recall of a past life. As a psychic I know that we all have lived before, and so we bring our past inclinations and talents (Karma) into our current life. However, most of us are unaware of our karma and how it is affecting us presently. This is because the influence of our karma exists on another dimension and cannot be reached by our normal senses. A past life regression can be used to explore your life’s events and relationships to those you know now, and how you were connected in past lives. It can help you to enhance and crystallize what is good in our life today, by seeking to look into those past lives where we have lived our strengths and talents. A past life regression can bring understanding and clarity into some issues that seem to be blocking your progress in living joyously. This can be especially helpful for anyone who is having an unexplained difficulty in their daily living. Other issues to explore are: lack of personal power; career dissatisfaction; lack of commitment; unexplained anxiety or fear; unexplained illnesses and, unexplained reactions and feelings towards people. This type of reading is also of benefit for anyone who would like to know more about their present and future potential. The process requires guiding you to a relaxed comfortable place within yourself, and then moving you deeper into the subconscious mind where you are fully aware and in control of your session, to recall or relive a past life. You state your intent of the past life that you wish to recall, and in doing so your subconscious will present it to you. You will need to put aside the judgments, doubts, and criticism of the ego/mind to allow the process to happen. It takes willingness on your part, being open to explore other realms and levels of consciousness. A past life regression also involves a process of reprogramming the subconscious mind and recreating the past life when necessary from a negative to a positive outcome. This new positive energy will then be brought forward, into this life, changing your negative patterns. You may notice the change almost immediately in your life. It may show up in the way you connect with those in your life that you have a past life connection with, your mental, emotional, and spiritual well-being may be different. “Wow!! I just finished my first Past Life Regression, but definitely not my last. 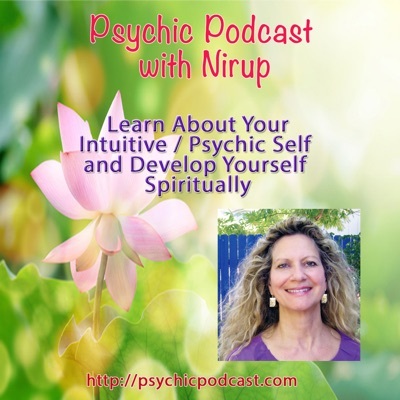 With Nirup’s gentle guidance I was able to finally understand how profoundly my previous lives and present experiences are linked together. I was able to release an attachment to a relationship that I should have let go of long ago, but couldn’t because of an obligation I had made in a past life to this person. Thank you Nirup.” J. B. Butler, Sedona AZ.